Anyone want some fat cooks? Cooking is like love. It should be entered into with abandon or not at all!! 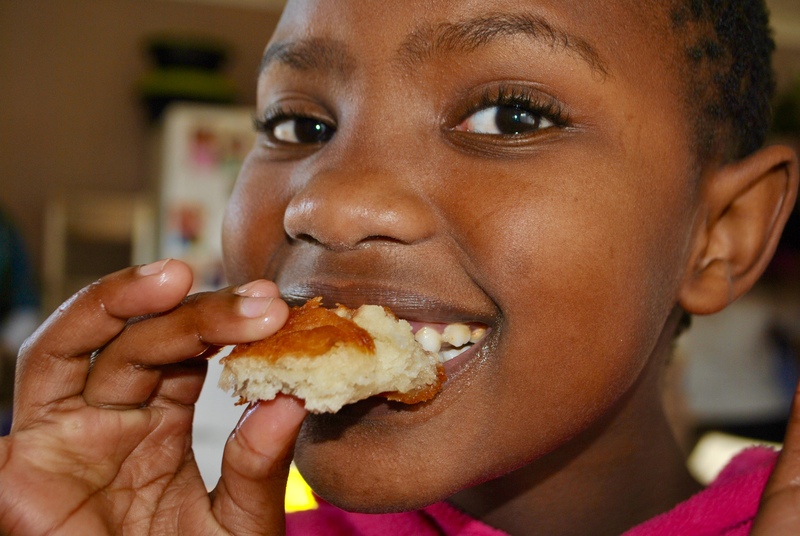 Several weeks ago we were introduced to vetkoeks (pronounced “fat cooks). 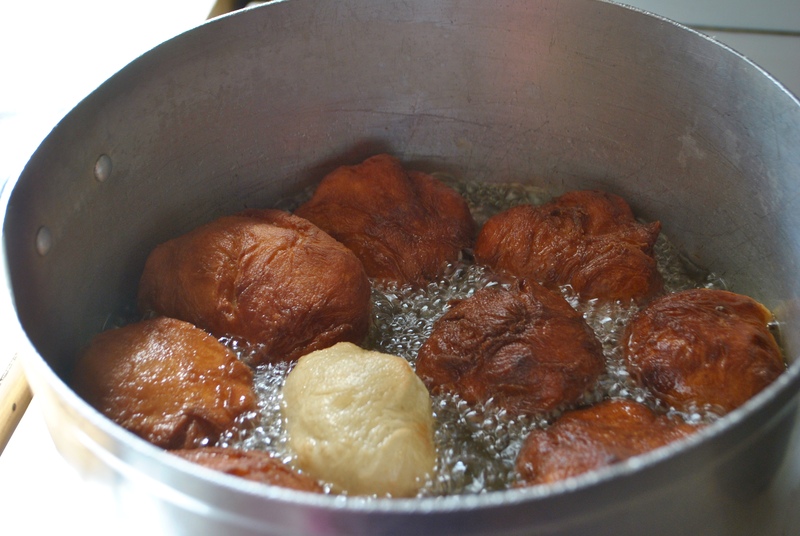 Vetkoeks is a traditional South African treat. 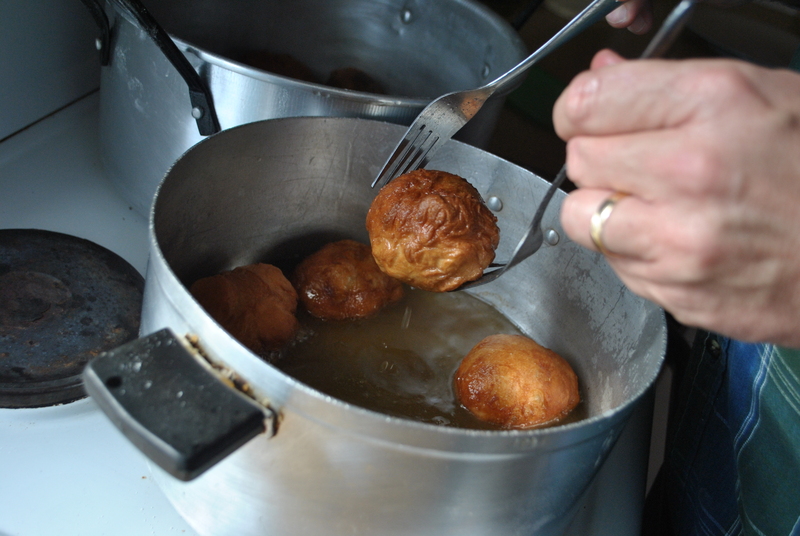 Much like the beignets that we came to love in New Orleans, vetkoeks is bread dough deep fried in oil. It can be eaten immediately out of the pan by itself or with mince, honey, butter, or anything else you want to spread in the steamy middle. We chose peanut butter! After enjoying this surprise treat, Ron made arrangements for us (him) to learn how to make vetkoeks. 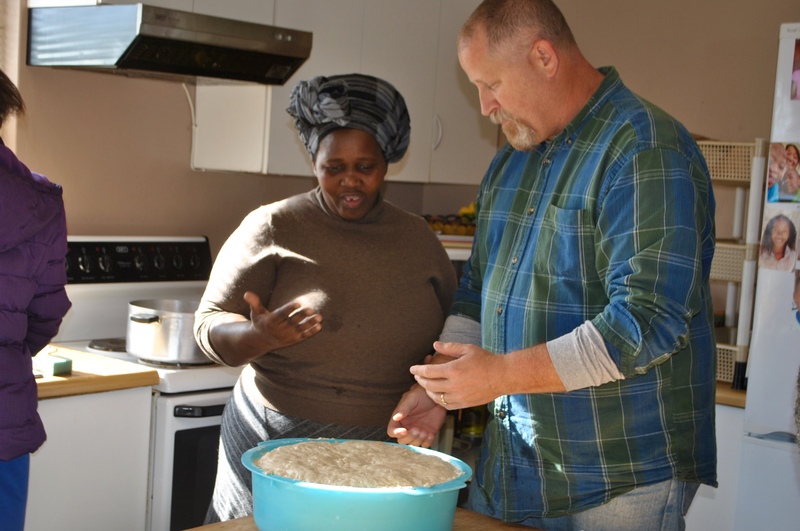 Our sweet friend at African Hope Trust cooks much like my Granny did. There was no recipe – a bit of this and a dash of that and until it feels like this! 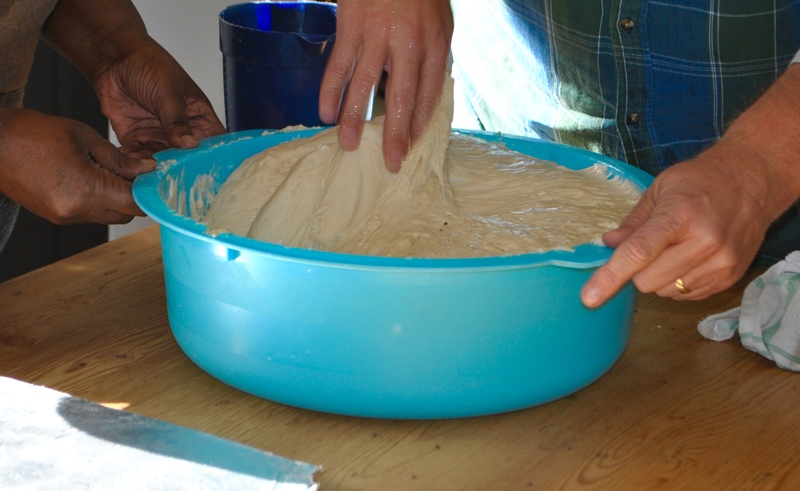 Then once the dough is prepared, you let it rise. Ron was excited to dig his hands in and knead the dough. And out of the oil to cool for just a few minutes. 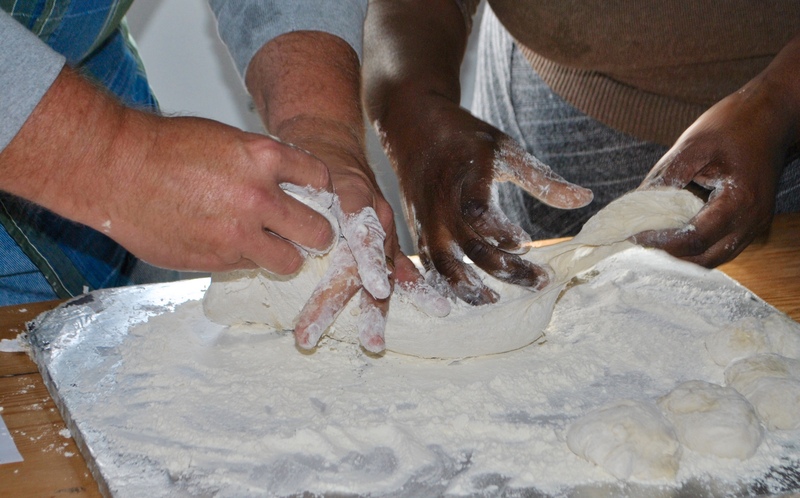 Ron and Rachel made about 8 dozen vetkoeks and fed 20 hungry tummies – with lots left over. 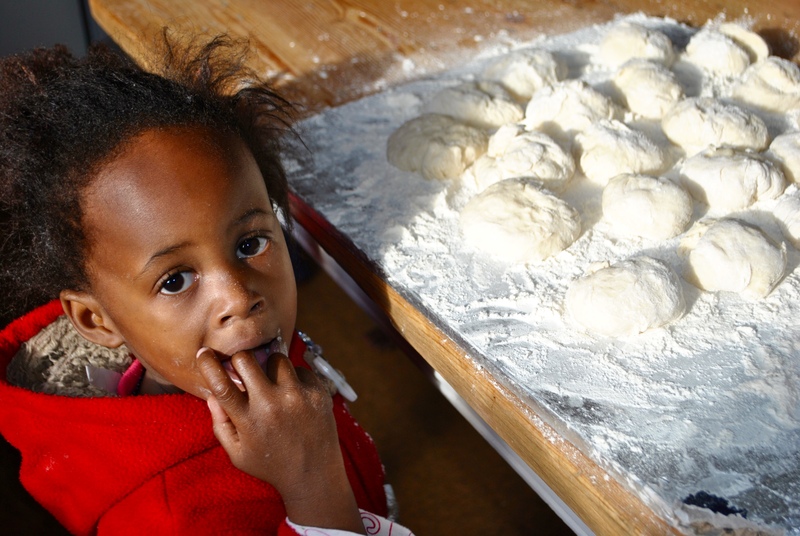 This little one just couldn’t stay away from the flour. Isn’t she precious? One of the greatest pleasures in building relationships and learning a new culture is enjoying time with others. Add some yummy treats and you are sure to have a great day. African Hope Trust is an amazing partner that we share time with weekly – or more when possible. We pray that the Lord will open opportunities for these relationships to grow and that we can just live life with these mums and kids. This entry was posted in Africa, God is good, Learning!Loving!Living!, Love 'em like Jesus and tagged Africa, beignets, new culture, vetkoeks. Bookmark the permalink. 1 Response to Anyone want some fat cooks?